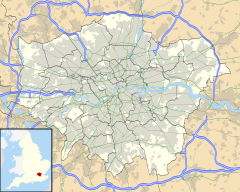 Kensington is a district of West London, England in the Royal Borough of Kensington and Chelsea. It is 2.8 miles (4.5 km) west of Charing Cross. This page was last changed on 12 September 2018, at 04:37.